Ivory Coast was the second longest-running African event in the WRC calendar. Conditions encountered in the route were quite different from Safari and Morocco, both of which were held in more open country and were mainly drier. 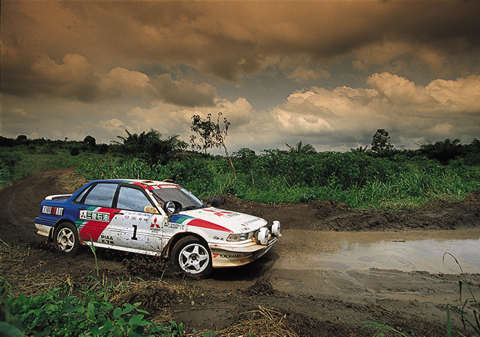 Prevalent Ivory Coast stage was narrow and wet jungle road, even to a point where route was sometimes found to be impossible to follow. Ivory Coast Rally was arguably dead weight for the World Championship. FISA regulations required minimum of 50 starters or event would not be included next year's calendar and one of the very few events that have ever had problems with this ruling was Ivory Coast. For a long time, entry list was filled with near-standard cars which retired soon after first time control was out of sight. These entries were drafted in by the organiser in order to fill up the minimum requirement, rumoredly using any means necessary. Ivory Coast is a lush country if compared to more barren Kenya and route often proved unpassable.